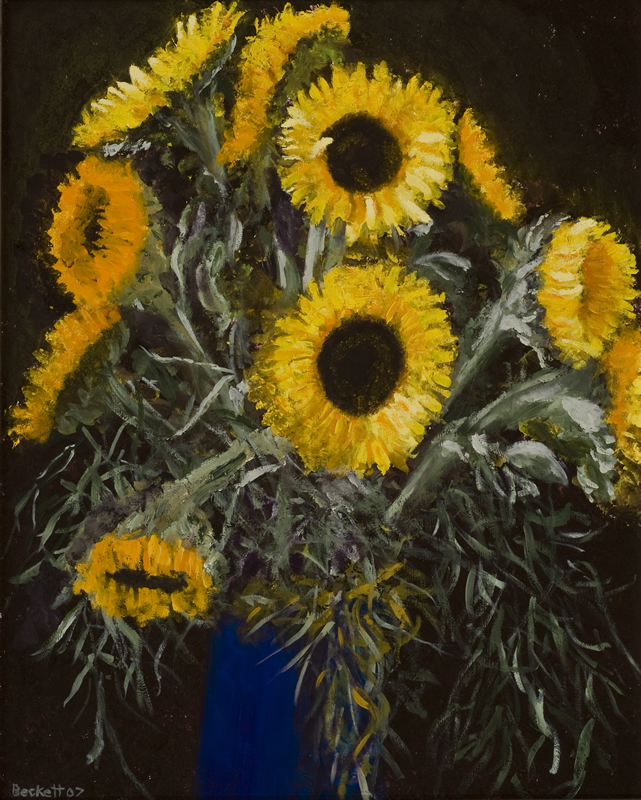 As a celebratory gift for the showing of my first works, friends gave me a deep purple vase of sunflowers. They sat on a low table beneath a skylight high up in the ceiling, in the darkened gallery, lit only by a trapeze of small spots raining light down upon my works. In the midst of the cacophony of guests, a cradle of yellow light slid down the skylight and embraced the tall flowers. They became my only guest, my vision and my guide. You ask me, 'Why do I paint?' Light.